West Africa has seen increasing economic growth in the past few years. This growth has been driven by changes in the economic focus and also facilitated by developments in the technology landscape in the region. 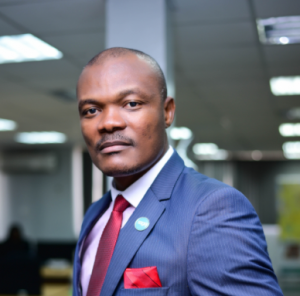 That’s the word from Magnus Nmonwu, Regional Director for Sage in West Africa, who says that for enterprises in this region to keep pace with their competitors they need to start investing in the right business management solutions that offer digitalisation, mobility and security. According to a recent GDP report released by the Nigerian Bureau of Statistics, Nigeria’s economy fell to a 25-year low of –0.36% GDP growth rate. Keeping this recent economic development in mind businesses need to start digitising their business processes in order to save costs and to increase their competitive advantage. Digital transformation means it is important for organisations to be able to extract meaningful information from data quickly and easily, to enable them to be responsive to the needs of their customers and business, ensuring that they make the right decisions at the right time, wherever they are. They do not want to waste valuable resources inputting data multiple times, when there are integrated systems that are there to ease this burden. This category of users in this space increasingly want speed, convenience, mobility and ease of use. To stay competitive, businesses must adapt to customers’ needs and must be more agile to this environment. Adapting to the digital business landscape will mean that these enterprises will be able to offer products and solutions targeted at stakeholders in a personalised manner by gathering insight from interactions with these stakeholders. While the benefits of mobility that a digital business offers is of great value, the risk of security breaches is a concern. In West Africa, businesses are increasingly looking and asking questions about various cloud offerings and this calls for relevant stakeholders to start looking to the cloud to assist them with IT security. One of the greatest threats is the theft of physical devices that holds sensitive data. Businesses need to have a security protocol in place to remotely wipe devices that hold business data. With the cloud, there’s less risk of losing data, than those stored on a laptop or a USB stick because everything is stored in the cloud and not on devices that could be lost or stolen. In a time of seismic technological change and digital invention, today’s consumers want service in demand from a handset, regardless of their location.